Extensive experience in thyroid disorders, diabetes, general endocrinology, and metabolic bone diseases. Dr. Safa is certified by the American Board of internal Medicine and the subspecialty Board of Endocrinology, Diabetes and Metabolism. After his internship and residency at Greater Baltimore Medical Center and Sinai Hospital of Baltimore, he finished his residency in Internal Medicine, completed two year fellowship and an additional year as associate staff in Endocrinology and Metabolism at the Cleveland clinic Foundation. Dr. Safa has also received Endocrine Certification in Neck Ultrasound (ECNU) from the American College of Endocrinology and has performed several thousand Thyroid/ neck ultrasound examinations and fine needle aspiration biopsies of the thyroid nodules with and without ultrasound guidance. 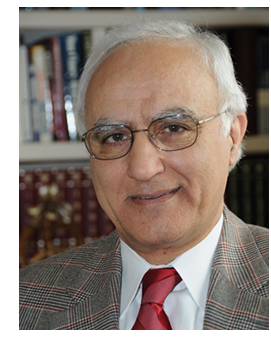 Dr. Safa has practiced in Northern Virginia since 1987 and is the founder of the Endocrine & Diabetes Center. He has been involved in teaching, published scientific papers in renowned medical journals and has been the recipient of the Peskind Fellowship Award from the Cleveland Clinic Foundation. He has served as the Founding chairman of the Washington Bone Club Foundation and the former president of the Mid- Atlantic Chapter of the American Association of Clinical Endocrinologists. Dr. Safa is honored and proud to have been able to provide state of the art services in the field of endocrinology, Diabetes and Metabolism and participate in the care of numerous patients evaluated and treated at the Endocrine and Diabetes Center. He has functioned as the endocrine consultant to thousands of referring physicians in the area. 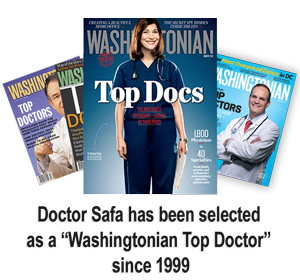 Washingtonian Magazine has recognized Dr. Safa as the Top Doctor in Endocrinology in Washington Metropolitan area numerous times consecutively since 1999 up to the present time.